Once one of the poorest districts in London, Whitechapel has grown over the past century to become one of the most historically diverse and culturally rich. For lovers of art, history, shopping and even animals, there’s plenty of ways to while away your weekend in Whitechapel. Here are Culture Trip’s top five not to be missed. Dating back to the 1750s, Petticoat Lane market is one of Whitechapel’s most beloved landmarks. Every weekend around a thousand stalls line the pavements, mainly selling fashion, clothing and accessories. The market is famous world-over for its buzzing atmosphere and always gets very busy – not just when the main market runs on Sunday, but throughout the week, when a smaller, select group of stalls operates. A short walk from Petticoat Lane is Whitechapel market. Stretching halfway down the high street, Whitechapel market offers a cornucopia of fresh fruits and vegetables, as well as just about every Asian ingredient you care to name. You’ll also find flowers and fabrics on display at the market, which is open all day, every day (except Sundays). No visit to Whitechapel would be complete without learning a little about its most famous resident – mysterious Victorian serial killer, Jack the Ripper. Despite brutally murdering five prostitutes on the streets of Whitechapel in 1888, the Ripper was never found, and never identified, though rumours abound to this day about his true identity. The Jack the Ripper walking tour offers the perfect opportunity to explore the mystery a little more in depth, and is accompanied by grizzly post-mortem photographs and tour guides dressed as Victorian policemen. If you’re in need of refreshment after the walk, drop in for a drink at the Ten Bells, favoured drinking spot of final ripper victim Mary Jane Kelly. Standing on Whitechapel High Street is the Whitechapel Gallery. Founded in 1901, the gallery was one of London’s first publicly funded exhibition spaces, and over the years has hosted some of the world’s most significant artists. Picasso’s Guernica was displayed at the gallery on its first and only trip to the UK, and big names including Pollock, Rothko, Gilbert & George and Frida Kahlo had their first introduction to London audiences in Whitechapel. The gallery remains one of London’s premier players in the contemporary art scene, hosting regular retrospective and modern, multimedia exhibitions. One not to be missed for lovers of all things art. Venture just a few minutes’ walk away from the hustle and bustle of the Brick Lane crowds, and you’ll find yourself in the inner-city idyll of Spitalfields City Farm. 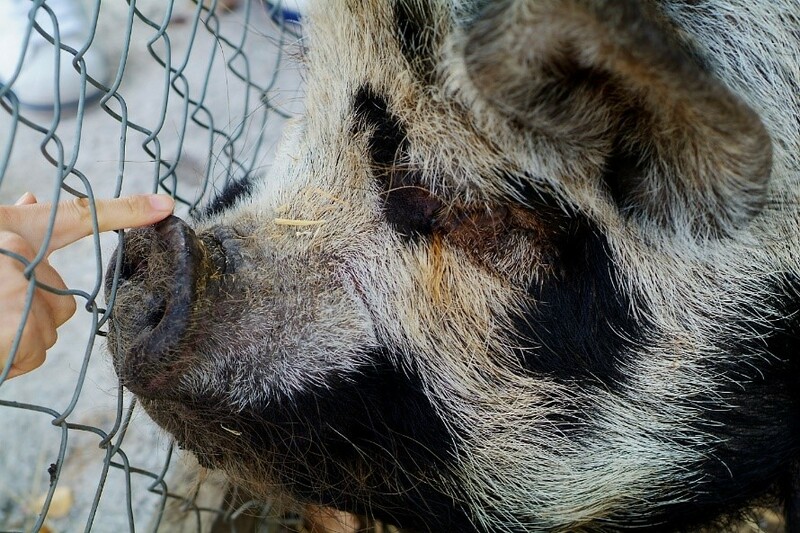 Home to many much-loved animals, from rare breeds to the famous Bayleaf the Donkey, the farm has strong community links and is designed as a learning resource for local residents – as well as a great family day out. Animals aside, the farm also boasts beautiful gardens, a café and a farm shop, and runs regular events including cookery classes and the annual extravaganza of the Oxford vs Cambridge Goat Race. 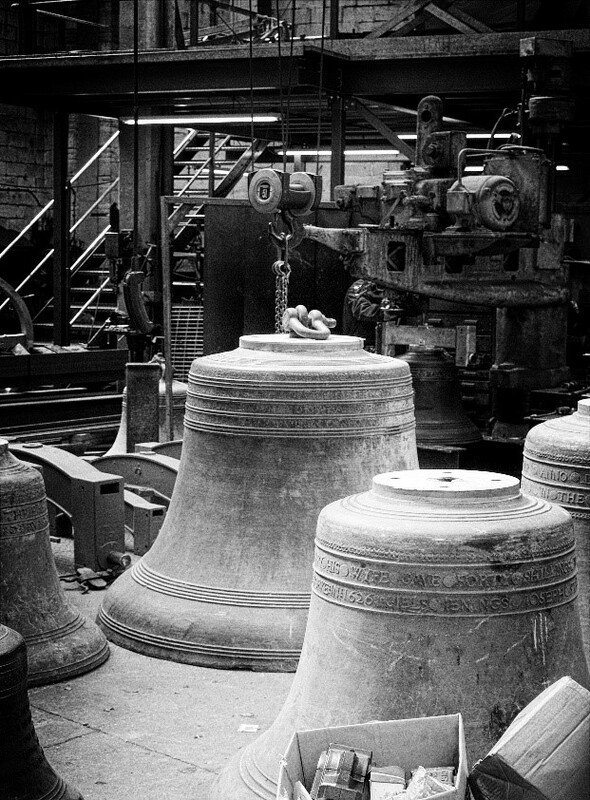 If history’s more your bag, take a wander down memory lane at the Whitechapel Bell Foundry. Officially listed in the Guinness Book of Records as the UK’s oldest manufacturing company, the bell foundry was established during the reign of Queen Elizabeth I in 1570, and has been making bells ever since. In that time, the foundry has cast some of the world’s most famous bells, including Big Ben, and iconic symbol of US Independence, the Liberty Bell. A tour of the foundry lasts around 90 minutes and gives a complete explanation of the casting process for everything from small clock and hand-bells, to the chimes behind London’s most famous nursery rhyme ‘Oranges and Lemons’.